No matter who you ask, you’ll hear the same thing again and again: that the PPC (or Pay-Per-Click) digital marketing industryhas definitely become the largest digital marketing tool on the internet. With reported annual spending figures reaching 14 billion dollars last year, you’re likely no longer asking why online companies are using this advertising technique, and instead wondering how you can get behind this massive trend. You should , however, be aware that PPC is a very sophisticated and complex system and that there is a specific reason why digital marketing companies exist; those that try to manipulate this complicated algorithm themselves often end up losing money, while those that partner with a digital marketer are better able to benefit. Below are several important reasons why this very specific and very unique business model should only be handled by the pros. 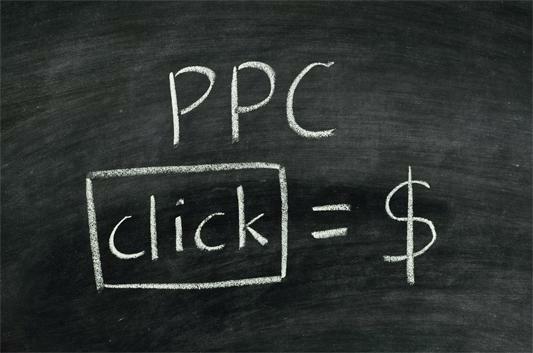 PPC allows web sites to quickly generate massive volumes of traffic and entice specific people to their sites. In fact, PPC uses the information in a potential customer’s pre-existing emails and search patterns and provides them with the opportunity to click on ads for products or services they are already looking for. Traffic of this type offers a unique marketing strategythat allows online businesses to siphon potential customers to their site instantly. PPC can push potential clients to your website within hours of posting your ad. You can instantly enjoy the results, carefully track performance in several verticals, and then further optimize your digital marketing campaign accordingly — all within a 24-hour period. PPC also plays a very important role in assisting other pre-existing marketing campaigns (such as organic, long-term Search Engine Optimization), which allows a digital marketing team that fully understands this sophisticated technology to provide a one-two punch. One of the major draws of PPC advertising is that it easily be used in conjunction with other types of online and offline marketing tools to create incredible marketing mixes that will result in large volumes of web traffic, and if you get professional PPC marketing help from a professional, you’ll be able to create a robust and personalized digital marketing campaign. For example, PPC advertisements are a solid way to create brand awareness and grow the profile of your business. If the PPC ads are professionally curated to appear on high traffic sites and also link up seamlessly with highly-searched keywords within search engines like Google, the number of people who see the advertisement will be truly massive. Even if users don’t click on the ad, they still see it, and it leaves a distinct brand impression in their minds — thereby fuelling brand awareness 100% of the time. You can monitor performance at any time. PPC is an incredibly economical marketing tool, as you can decide day by day precisely how much you want to spend — and you can stop the campaign once the budget limit has been reached. This makes it a self-serve service totally controlled by you. To learn more, contact a digital marketing company near you and discover the advantages for yourself.